Product categories of Multi-function Cookie Gun, we are specialized manufacturers from China, Multi-Function Cookie Gun, Household Cookie Gun suppliers/factory, wholesale high-quality products of Cookie Gun R & D and manufacturing, we have the perfect after-sales service and technical support. Look forward to your cooperation! We are special in producing Multi-Function Cookie Gun,Household Cookie Gun,Cookie Gun,Manual Stainless Steel Cookie Gun. 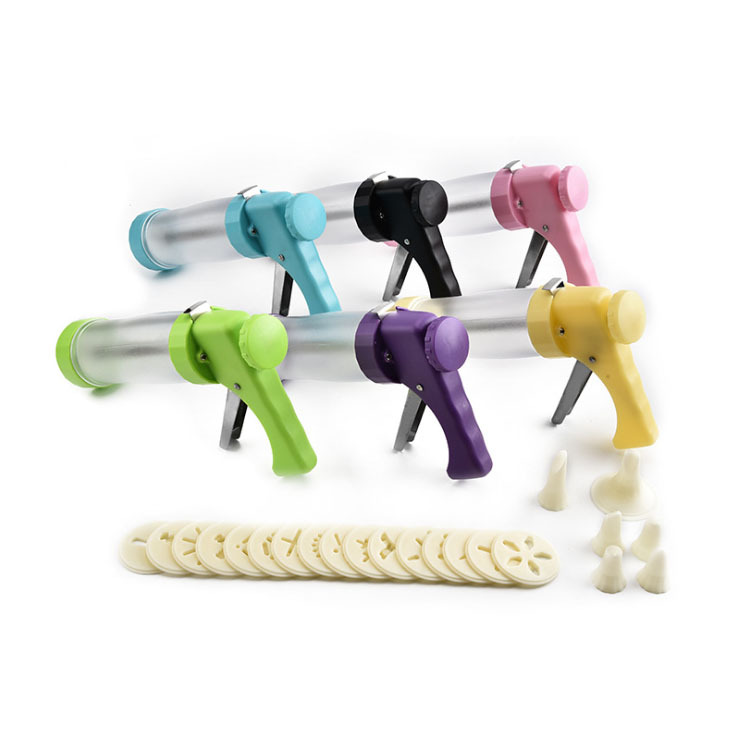 Our multifunctional cookie guns are sold all over the world and are popular with different consumers. Our product is made of plastic and stainless steel . We use safe and secure stainless steel material which is beautiful and easy to clean & remove. It can also avoid long-rusting. We have many pantone color for your choose. It is easy to handle and keep the kitchen full of Joy when Use it.